Self-control is the most necessary thing to be learned; a person may have great spirituality, illumination and piety, but in the absence of self-control this is nothing. Self-control also is the way of happiness and peace. Often we hear or read that persons of great repute in the world for their spirituality and mysticism do something that astonishes us very much, or make a quite childish mistake. It is want of self control that makes them commit a mistake, against which they themselves have spoken and written many times. The spiritual student learns self control in three ways: by postures, by tasawwur – visualization – which is concentration, and by amal, which is the highest practice. After this there is samadhi, which is meditation and which is called by the dervishes masti; it means illumination, to halt in illumination. The difference between meditation and concentration is that concentration is done on a form, on an object, and meditation without form or object. Repose and control of the body are taught by postures and positions. When a person has been still for some time, he will begin to move. There is no need for him to move but he moves his foot or arm, or he drums on the table with his fingers, or chews his lips, or blinks his eyes. The activity increases more and more until at last a person jumps in his sleep; when the first sleep comes, he starts and jumps. To control the activity of the body, to sit quiet in the postures and positions is the first lesson. However, there must not be stillness only. If a person has kept his hands still for a long time and then wishes to play the piano, he will not be able to. He must make his fingers active enough to be able to play the piano well. As much stillness there is, so much activity there must be. Sleep and do not sleep. Eat and do not eat. Walk and do not walk. Speak and do not speak. This means: if you sleep every night, sometimes do not sleep; if you eat every day, one day in seven do not eat; if you eat all month long, one or two days in the month do not eat. This gives a mastery that you cannot gain by renunciation alone. It does not mean that you should starve. The body must be given good food, fresh food, and all its needs must be satisfied. This is better than that it should always long for what it sees before it. You must give the body what it needs, but you must control its needs, and not be controlled by them. After this comes control of the thoughts, which is the second step, control of the body coming first. Thousands of people have found that they can sit in the postures for hours but cannot keep their mind still. This has to be learned by degrees. A person cannot control his mind by willing to think of nothing; that will never be possible. First let the mind hold whatever thought interests it; any thought of love, of goodwill – whatever interests it. Check its tendency to jump from one thing to another. When you catch the mind jumping from one thing to another, bring it back and hold it. You must say: I am greater than my mind, my will is greater than my mind, and I will make my mind obey my will. Then comes mastery of the feelings, of the heart. There must be no feeling of revenge, of unkindness, of bitterness against anyone in the heart. When such a feeling comes, one must say: this is rust coming into my heart. When all such feelings are cleared off the heart, it becomes like a mirror. A mirror without rust reflects all that is before it; then everything divine is reflected in the heart, then all inspirations, intuitions, impressions come, and what we call clairvoyance. There is no need to go after such things; they come of themselves. After this there is only one thing more to be done: to keep from the soul all the thoughts that come from others and all the thoughts and feelings that arise within the self. Keep away even all feelings of love and goodwill whilst you are in this meditation; then, as a matter of course, come ecstasy, rapture, and peace. Many people ask: How can we control our thoughts? What can we do if our thoughts do not obey us, if our mind does not obey us, if our body does not obey us? How can we like a thing, if we dislike it, or dislike it if we like it? It seems impossible! To a person who has gone beyond likes and dislikes this sounds like a child's question, because he does not know of opposites. The way to gain self-control is first of all to do the reverse of what your inclination would lead you to do. If you feel inclined to eat, sometimes do not eat, control the hunger. If you feel inclined to drink, do not drink, control the thirst. If you are inclined to sleep, do not sleep; at another time when you are not inclined to sleep, sleep. There are a thousand inclinations; each sense has its inclinations. Do not give way to these inclinations, rule them, that they may not govern you. This is called by the Yogis hatha yoga, and the Sufis call it nafs kushi. I have seen the Nizam of Hyderabad stand for seven or eight hours, if he wished to stand, although he was a king and had all the things he wished ready in his house. If he wished not to sleep, he did not sleep for seven, eight, nine and ten days. By this he became such a master that he mastered the secret of curing snakebites. In India there are many snakes; while the Nizam lived he advertised all over India, and if anyone was bitten by a snake, people wired to him. When the Nizam said, 'He is well,' the person was healed. When one has learned to control one's inclinations, the second lesson is to govern the inclination in the act. Do not eat whilst you are eating, do not drink whilst you are drinking. When a person has learned this, he is master of the solitude and the crowd. He does not need solitude to be spiritual; he is spiritual in the crowd too. Question: How to gain self-control? Answer: By doing the reverse of that which is one's inclination would lead one to do. If you are inclined to eat, do not eat; if you are inclined to drink, do not drink; if you are inclined to be active, be still; if you are inclined to be still, be active; if you are inclined to speak, be silent. Eating is not a sin, but if you sometimes try how long you can go without eating, it would be good. Drinking is not a sin, but if you sometimes try to see how long you could go without drinking, it would be good. Sleeping is not a sin, but if you sometimes try to see how long you could do without sleeping, it would be good. Develop the will by slowness of movement, by slowness of speech, by slowness and control of thought, for activity tends to make us move faster and faster. No thought or feeling should arise without our will. When we have gained mastery over the self, we have mastery over all things. The saints and sages have commanded a withered tree to become green. How was it done? By their mastery over the self. The self controlled ones are the only possessors of divine wisdom; those who have not mastered this in life are imperfect. Though they may have all the riches, comfort and power, yet all this is as dross when the self is not under control. This can be learned by noticing how many virtuous people are at times drawn into sin, and how foolishly the wise sometimes act. Dominant natures often become enslaved, and even the healthy become diseased through lack of self-control. Self-control is an attribute which distinguishes man from the animal; both have their appetites and passions, but it is man alone who can control them. It is therefore not surprising if Sufis are sometimes seen submitting themselves to most awkward and uncomfortable practices. At first sight it may appear strange, yet on closer observation it becomes obvious that they prescribe this for themselves in order to gain self-control, which alone gives the assurance of a dependable and lasting happiness. Self-control is mainly achieved by abstinence, which acts against the constant demands of the mind, the senses and the body. The control over each plane is won gradually by special practices of pose, posture and movement, adapted to this purpose. Every motion and action, even each organ and muscle of the body must work under the control of the will. All the powers of the body, whether in absorption or rejection, should be mastered by self-control. For both absorption and rejection control of the breath is necessary, and by the same power all things are controlled. Control of the mind consists of control of imaginations, thoughts, emotions and feelings, the vibrations of which are always ringing in the sphere of the astral plane. The scattered clouds in the sky join and separate, at every moment forming various distinct pictures. In like manner the will – as a magnet – gathers these vibrations in the astral sphere from different directions, forming them accidentally or intentionally into a picture which is either a thought, an imagination, an emotion or a feeling. Just as clouds do not remain unscattered in the sky, so the pictures formed in the astral world are liable quickly to be dispersed, except when the sky is overcast, or when the atmosphere is overwhelmed with depression or joy. Vibrations of the same element will group themselves together, for they are naturally attracted to each other. Pictures are often impressed upon the mind and are reflected from the mental plane upon the astral. The vibrations ringing through the astral sphere may be called, in other words, the atoms of the mental plane, which are singly or collectively impressed by the names and forms of the external spheres. The same vibrations appear as different names, forms, things and beings in the dream plane. They seem much more real there when the senses are at rest, but in the waking state they become mere imaginations. What is considered as imagination in the waking state becomes the world of reality in the dream state. All the things and all the beings seen in the dream are a world within ourselves, reflected from the external world and produced by the power of our will. So the judgment Day in reality is not the resurrection of the whole creation, but of the world produced in each individual for his trial. The power of the will gathers and controls the desired vibrations through concentration, and it is when control is lacking that, instead of the wished for imaginations, various other pictures are formed, either agreeable or disagreeable – whatever the vibrations may happen to form through their contact with each other. In other words, through self-control man governs his fate; otherwise he is governed by it. Lack of will power causes involuntary happiness and sadness. The disturbing thoughts which crowd into the mind during concentration can only be dispersed by the power of the will; otherwise the mind will become occupied with agreeable or disagreeable impressions from the external world against our desire. The way of strengthening the will is knowing how to group and to scatter mental vibrations at will. This can only be done by forming a mental picture of the grouped vibrations, making every possible effort to hold this mental picture steady, keeping the mental plane so occupied with its reflection that no impression from the external world can enter. Only those who by will power can scatter the mental vibrations find the way towards the Universal Spirit, and to them the divine light is disclosed which is hidden behind the mind. This light can be found in every creature. Uncontrolled imaginations form the veil covering the divine light and cause darkness, which produces delusion. When the will is able to scatter the clouds and allows the Inner Light to spread forth its rays, then there is still one more step to be taken. That is the absorption in the light: to become so lost in it that the false ego may become unconscious of itself, which in other words may be called the state of Eternal Consciousness. The astral plane, the seat of which is the heart, which is situated in the midst of the body and the soul, can only be controlled by a strong love or devotion. Just as the horse is controlled by the will of the driver, in the same way a man whose will controls both driver and horse can hold the rein over his action, speech, thought and feeling. The mind is prone to different temptations and, uncontrolled; it wanders about like a wild horse in a jungle. The will produces an object of love and directs the heart to follow the right path, the path of love, along which one journeys resisting all temptations met with along the way. The Sufi idealizes the pangs of love by which the heart is warmed. The fire of love melts the heart, no matter how cold and hard it may be; when once it is warmed it can be molded in whichever way desired. Ice, the frozen condition of water, cannot reproduce the reflections of which it is capable in its melted state. The resisting of temptations during the period of love helps to expand love, till the object of worship becomes the whole universe. Then self-control could be gained by even resisting the idea of the lover and the beloved. In other words, 'I and you' finally becomes love in its pure essence. A complete realization of the spiritual plane is difficult for everybody, and only an earnest mureed arrives at this stage through perseverance in the control of breath under the guidance of a Murshid, when all the senses can be opened or closed at will. The vision he sees and the phenomenon he experiences there are unknown to the average man. This state is incredible to those who have received a worldly knowledge, but have not followed the mystic way. Only he can control the self, making it rise above the physical plane, who loses himself in the phenomenon of the abstract plane. The mureed, holding this phenomenon in his meditation, becomes so absorbed in it that in the end neither he nor the phenomenon remains, but only the consciousness of being. This is the control, which liberates the consciousness from its attachment to the lower planes. That attachment keeps the consciousness deluded and confined to the earth; by self-control it can be liberated. Self-consciousness grows through lack of self-control. 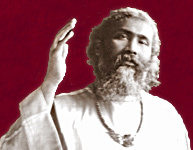 Man attaches such importance to his life that his slightest joy or sorrow becomes of worldwide importance to him, and thus he becomes prey to every form of weakness; for it is a natural law that a single atom of depression gathers the clouds of gloom, and a slight pain reflected in the consciousness grows into a mountain. Self-control is the way by which the Sufi makes the consciousness free from all worldly reflections, thereby attaining the blankness out of which the whole world was manifested. This perfection can only be attained by absolute self-control.